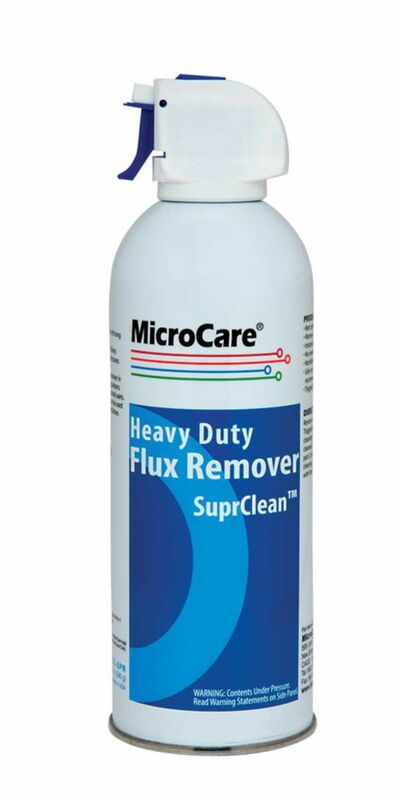 Great defluxer, especially for rosin fluxes. 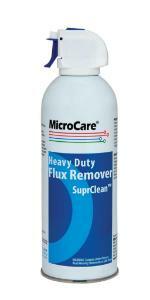 Degreaser for all types of organic contamination. Fast-drying and nonflammable with good toxicity ratings. Ozone-safe. No aroma. Test on soft plastics. Aerosol spray can.